Jane's Box of Colours: Boo!! Did I scare you? great card, love your colouring! oh how very cute!! 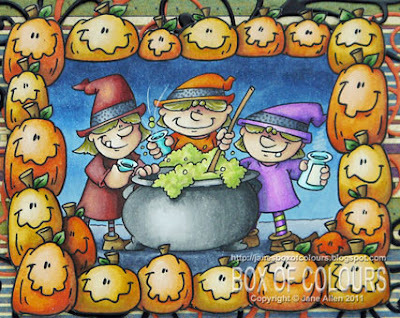 and beautiful coloring too - thanks for sharing your spookily cute card at Tuesday Throwdown. Some cards can give us fits. My last card opened the wrong way. LOL Your coloring is wonderful, I love seeing your creations. Oh my this is totally FAB and FUN that image, the colours and design are just perfect for our challenge at Digital Tuesday this week, thank you for joining us. Such a cute card! 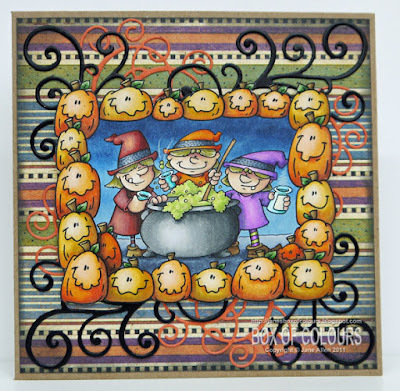 I love that pumpkin frame! Thanks for playing the DTC this week! This is really fabby. Just adore it. Thanks for joining our halloween party over at the PaperShelter. Great tip about the smoke.. what a great effect I'll be trying that one. 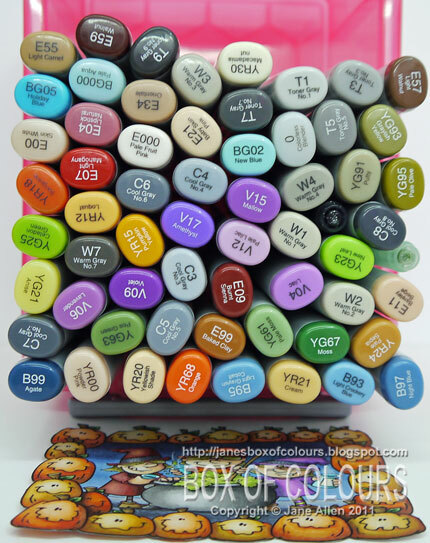 Jane when I look at how many copic's you've used it just amazes me. Your card is fantastic. I love your image. Great. Ohlala, this card is so cool!! Wonderful motiv and I love the swirls, they are just gorgeus. Fantastic colouring and what a job! 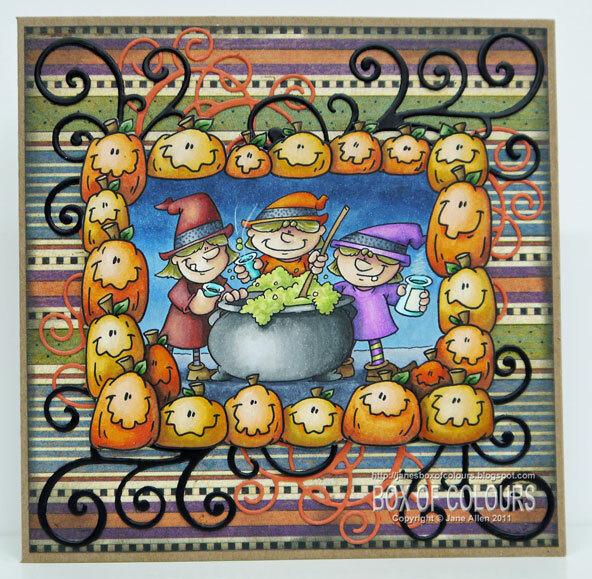 Thanks for joining us at Kreative Stempelfreunde/Creative Stamp Friends "Autumn Colour" challenge.